Philips GoGEAR SoundDot MP3 Player 2GB Direct USB Download Blue Model SA4DOT02BN Jive to the small and colorful GoGEAR Sounddot MP3 player. Small, simple and comfortable to wear, it comes with a built-in clip for easy attachment so you can wear it wherever you want. LED and sound indicators provide easy navigation. Transfer music via Direct USB and enjoy FastCharge for quick charging. Features: - Small, colorful and stylish like a fashion accessory - Built-in clip for convenient and hands-free use - Sound and LED indicators for battery status and shuffle mode - Quick 6-minute charge for 60 minutes of play - Direct USB for easy file transfers - without cables - 2GB Storage. Craig 2GB Personal Mp3 Player CMP611E. Condition is New. Shipped with USPS First Class Package. MICROSOFT IRIVER CLIX MP3 PLAYER WITH CHARGING CABLE. Condition is Used. Tested and works. In very good condition. Minor signs of wear. B0245 BE0907BMPK SV. Sandisk Sansa Clip 2GB MP3 Player. Sprint Cell Phones. MP3 Players. Device is in 100% WORKING condition. It has been extensively tested and found to be fully functional. NEED HELP?. mobiBLU 2gb mp3 player. Condition is New. Shipped with USPS First Class Package. NIB • GLOBAL GNBI 2GB MP3 Player - Orange. Condition is New. Shipped with USPS First Class Package. FM radio with FM/voice recording feature. USB cord included. Ear bud included. USB 2.0 slot. MP3 Player 2GB Craig Voice Recorder Bundled with Stereo Earphones. Condition is New. Shipped with USPS First Class Package. Buy with trust! If an item doesn't pass 1 of our 7 test then we do not list it. We can't always promise you we will be the cheapest but we can promise you we are the best! Buy with Trust! See below for qualified carriers and services. 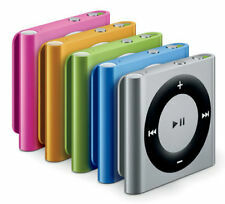 Swagger 2GB Clip on MP3 Player. New in Box. Amplified Speaker. 2GB MP3 Player. Speaker play music from iPods/iPhone/Laptop. USB Power it battery operated (uses 4x AAA size batteries- Not Included). USB Connection cable. Use 1 x AAA size alkaline battery (not included). Such as: flat rate and parcel options. (International does not apply). (It will save you money). No reserve. INSIGNIA KIX 2GB USB MP3 PLAYER. This MP3 Video Player is New in Package. Thank you for your interest in this Item. Everything comes from a smoke and pet free environment. Shipping is always every week day and almost always on Saturdays. There is a 60 day money-back guarantee on all listings. Please message any questions, as they will be answered in a timely manner. Thanks for your time and confidence. Music Player with Built-In USB, and Include Headphone's. This Digital Audio Player and Voice Recorder is New in Package. Thank you for your interest in this Item. Everything comes from a smoke and pet free environment. Shipping is always every week day and almost always on Saturdays. There is a 60 day money-back guarantee on all listings. Please message any questions, as they will be answered in a timely manner. Thanks for your time and confidence. You are viewing a real LEGO MP3 player. It really works, as my son used it for a few years until he grew out of the Lego fad. Uses a standard USB 2.0 to a USB that you can charge through your computer. Great gift for runners. Cheap and easy to use. Has a clip. (This item appears complete and is being sold as is). Sylvania Compact Mp3 Player (2GB). Condition is New. Shipped with USPS First Class Package. 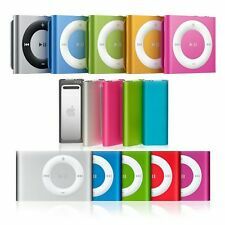 Craig 2GB MP3 Player Portable Miniature Amplified Stereo Speakers, MUST SEE!! Also included are Portable Stereo Mini Speakers and Stereo Earbuds. I Strive to keep all my sales smooth and happy. Nextar Digital MP3 Player / 2 GB. Yr 2008 Limited. New 1000 Songs. 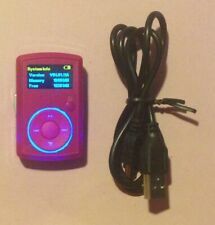 Nextar Digital MP3 Player / 2 GB. Yr 2008 Limited. New 1000 Songs.. Condition is New. Shipped with USPS First Class Package. Model# MA- 166-20BL. Minimum system requirements. Windows 98, 98se, me2000 Xp. 2 GB flash memory. MP3/ wma format support. High speed usb 2.0 interface. For sale is a new, never opened 2GB MP3 player and recorder by Sylvania. RIPTUNES MP1202 Digital MP3 Player. This is for a 2GB capacity USB 2.0 MP3 player. -Includes headphones and battery.